This article is about a former indian cricketer - Pankaj Roy, who is always remembered for his record partenership for the first wicket with Vinoo Mankad. A solid batsman, who has a very good record in test cricket. Here is the details about his career, profile and record is given. Pankaj Roy was a former Indian cricketer and mostly remembered for his record partenership for the first wicket with Vinoo Mankad. 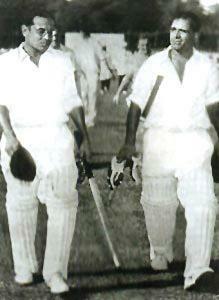 Pankaj was always regarded as a solid opening batsman in the Indian team in 1950's. Pankaj Roy started his cricket career by playing for Bengal in domestic cricket. His International debut came against England during their tour of India. He scored some good innings in that series including 2 centuries. After a great start at International level, he become the regular member of Indian Team. During the tour of England, Roy faced a tough period when he got five ducks in the series. But he regained his form after this. He also captained India in one Test, but unfortunately India lost that match. On February 4, 2001, this legendary player of India died. 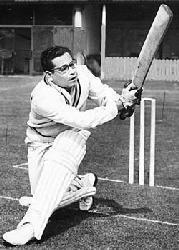 His son Pranab Roy also represented India in Test Matches. In 1954-55 in the last Test against New Zealand, Pankaj Roy and Vinoo Mankad the two Indian openers made a world record that stays till 2008. Both these batsman not only made centuries but scored 413 runs for the first wicket. Roy made 173 runs in that partenership before he was bowled. Before this match India were facing the problem of opening batsman, as a number of batting pairs were tried. Pankaj Roy was the part of the Bengal Team in first class cricket. He made a century in his debut match when he played his first domestic season in 1946-47. In his cricket career of more than 20 years, he scored more than 10,000 runs in first-class cricket including 33 centuries and 50 half centuries. Pankaj Roy alongwith Vinoo Mankad established the record of highest first-wicket partenership in Tests of 413 runs. Later this record record was broken by South African pair in 2008.